As prepared for delivery at Tsinghua University in Beijing, January 15, 2006; at a forum on universities in Taipei, January 17, 2006; and at the annual MIT in Japan symposium in Tokyo, January 20, 2006. Today, universities all over the world face great challenges. Like businesses and governments, we must meet the needs of a new, global age. While universities must adapt to the times and be alert to new opportunities, I do not believe we should forsake our longstanding mission. As research institutions, universities seek to advance knowledge for the benefit of society, and as teaching institutions, we seek to educate the leaders of the next generation. The most successful universities are – and will continue to be – those that integrate the dual enterprises of teaching and research most closely. My comments reflect my personal experience in the American university system. But, while American higher education has been particularly successful since the middle of the last century, I would not want to claim that ours is the only model for excellence in higher education and research. Recent international rankings have demonstrated the tremendous accomplishments of institutions around the world, not just in North America and Europe. Looking ahead, universities will need to learn from each other and to draw on best practices in education and research wherever they originate. I will begin with some comments about how universities can contribute to knowledge-based economies by innovation. I will then talk about two trends that are reshaping universities today – collaboration and international engagement. In closing, I will turn to how universities can educate the leaders the world needs now. Global competition has made us more conscious of the role universities have played in fostering innovation. In America, a system of competitive, independent universities has been a powerful driver of innovation in both teaching and research. American higher education encompasses a diverse range of institutions, but all of them – even public institutions – fundamentally set their own agendas. Within the constraints of available resources and market demand, we are free to pursue the most exciting intellectual opportunities we see. This may be the most important reason MIT and other American universities have become engines of innovation. In addition, American universities typically rely on multiple revenue streams, which further enhances our flexibility. Flexibility to do what? To build on the best ideas of the faculty. The most successful ideas and programs at MIT are those that emerge from the faculty and gain support from the bottom up. This is true even of major institutional collaborations. This process draws on the intellectual strength that resides in our community, and it ensures genuine support and enthusiasm for crucial initiatives. In the long run, it strengthens our sense of shared purpose. As you can imagine, with each university pursuing the most exciting intellectual opportunities, competition arises between institutions. Now, frankly, there are times when competition can be counter-productive for higher education, but overall, it has been an important stimulant for excellence. The value of competition has been especially evident in American science and engineering. Since World War II, the great engine of growth in these fields has been a federal policy that allocates research funding to universities competitively, through a rigorous process of peer review. This system has helped direct scarce research funds where they will be most productive. By and large, funding proposals come from individual faculty, and awards are made to faculty, not to institutions. As a result, America’s universities have become hotbeds of innovation, and tremendous engines of economic growth. This is not accidental – and especially not at MIT. MIT was founded precisely to serve as a source of engineering innovation during the American industrialization in the 19th century. A focus on innovation does not mean ignoring fields without immediate practical relevance. At MIT, the humanities, social sciences, and the arts also play a critical role in research and in education. MIT’s largest school is Engineering, but almost as large is our School of Science, whose faculty extend our fundamental knowledge of the natural world. They are driven by curiosity, and the joy of scientific discovery. At the same time, their discoveries lay the foundations for new technologies for the present and for future generations. One example is the work of MIT’s most recent Nobel laureate, Professor Richard Schrock, from our Department of Chemistry. Professor Schrock received the Nobel Prize this fall for his contributions to the understanding of the chemical reaction known as metathesis, in which double bonds are broken and rearranged between carbon atoms, mediated by special catalysts. This work has led to the development of new catalysts for a wide range of applications, including the complex synthesis of pharmaceuticals and advanced plastic materials. The new catalysts make these industrial processes more efficient, and, by reducing the use of toxic solvents, more environmentally friendly. Of course, bringing discoveries like these to the marketplace requires universities and business to collaborate. In fact, in the global age, universities must foster many new kinds of collaboration. We must work across the borders between universities and industry, between academic disciplines, between institutions, and between nations. At MIT, we have fostered strong connections with industry for more than half a century in a number of ways. Our Industrial Liaison Program facilitates interaction between our faculty, researchers, and students and more than 180 member companies. To foster technology transfer, MIT has developed a very active Technology Licensing Office. Last year, we received 133 US patents, and many international counterparts. We signed 102 licenses, and 30 options to license. And 30 new companies were founded on the basis of MIT intellectual property. In fact, over the years, MIT graduates, faculty, and students have had a tremendous economic impact – founding literally thousands of companies employing, at last count, well over 1 million people. Today, many of our greatest opportunities for innovation lie at the intersection of classical disciplines. So universities today must foster cross-disciplinary collaborations. Take, for instance, the convergence of the life sciences and engineering. We see these developments accelerating all around us. They are as revolutionary as the convergence of engineering and the physical sciences that transformed engineering during the middle of the 20th century, and that produced much of the computer and information technology that has transformed our lives. Consider, for example, the work of Professor Angela Belcher at MIT. She has genetically modified viruses—strains that only attack bacteria, and are harmless to humans—to interact with solutions of inorganic semiconductors. These viruses produce self-assembling nanomaterials, with increasingly complex structures. Furthering such work requires unprecedented collaborations. At MIT, we have been developing new facilities and strategies to bring together computer scientists and life scientists, linguists and philosophers, engineers and neuroscientists. And we have established new educational programs in fields such as biological engineering, and computational and systems biology. To take a second example: Think about the challenges of energy. There is no question that this is one of the great issues of our era, with implications for politics, economics, the environment, and our quality of life. Now, at MIT, many faculty are working already on new routes to renewable and sustainable energy. It is clear that we must advance this scientific and engineering work, while focusing our efforts, and magnifying their impact, through creative interaction with economics, architecture and urban planning, political science, and management. We have launched a major new Institute-wide initiative on energy, which will foster new research in science and technology aimed at increasing the energy supply and will bring scientists, engineers, and social scientists together to envision the best technologies and the best energy policies for the future. To facilitate work in such areas, universities must develop organizational structures that support a culture of multidisciplinary inquiry. 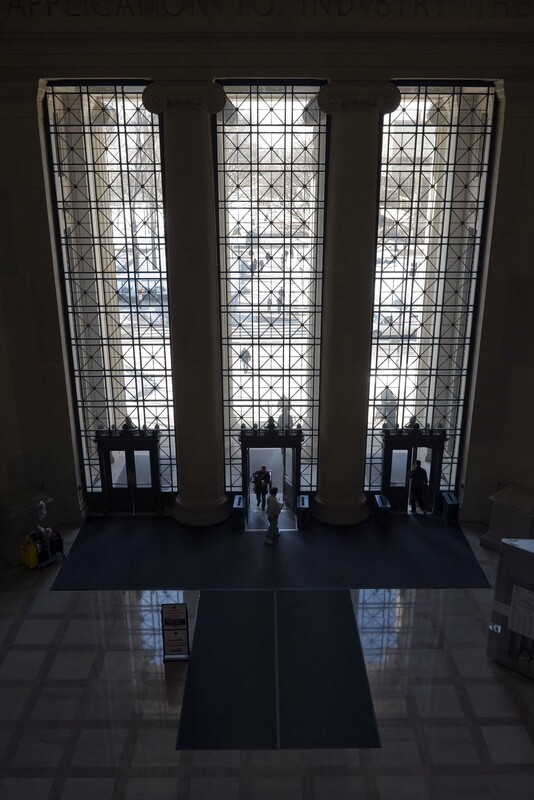 For more than 50 years, MIT has had a system in which many faculty have academic appointments in a department – dedicated to a particular discipline or field – while carrying out their research in interdisciplinary labs or centers. This approach has proven to be flexible and robust. Of course, for these collaborations across disciplines to succeed, the faculty involved must all work at a high level of expertise. And we continue to look for new ways to foster collaborations across the entire Institute, including our outstanding programs in the humanities, arts, and social sciences, and in architecture and planning. These disciplines are every bit as vital to MIT as our programs in engineering, science, and management. At the same time, we must foster collaborations between institutions, because many of the most important opportunities before us require skills and resources that no single institution can deliver. I will mention only one important example: In 2004, MIT, Harvard and its affiliated hospitals, and the Whitehead Institute for Biomedical Research established, through the generosity of Edythe and Eli Broad, the Broad Institute, whose mission is to fulfill the promise of the Human Genome Project for new advances in medicine. No single institution could have commanded the necessary expertise in molecular biology, genomics, chemistry and chemical biology, computational science, and engineering, together with the necessary breadth and depth in medicine. In its first two years, the Broad Institute has assembled a stunning team of scientists, physicians, and engineers who are already providing new insights into diseases and their cures. It is a model for what institutional collaborations can achieve. The boundaries between academic disciplines are not the only borders that world-class universities must cross. In this age of globalization, we are also called to work across national borders. This presents new challenges for universities everywhere, and we are still in what I would characterize as an experimental stage. Successful models will vary from institution to institution, and from country to country – responding to local needs as well as to the shared imperative of international engagement. America’s great universities have long benefited from the contributions of teachers, scholars, and students from around the world. At MIT, for example, more than one-quarter of our students come from outside the United States. Increasingly though, we have realized that we need to supplement these personal connections with a variety of institutional partnerships. One important activity has been to help build educational institutions and programs overseas, which is a long tradition for MIT. Since 1996, the MIT Sloan School of Management, in partnership with institutions including Tsinghua and Fudan universities, has been developing programs that prepare the management force of China for business in the global arena. Rather than producing a “cookie-cutter” replica of MIT Sloan, the MIT-China Management Education Project brings Chinese management faculty to MIT to study our courses and pedagogy, which they then bring back to their home institutions. There, they develop MIT Sloan’s knowledge base responsively to local context and opportunity. We have also engaged in strategic institutional partnerships in research and education, such as the Cambridge-MIT Institute, which links us with the University of Cambridge in the United Kingdom, and the Singapore-MIT Alliance, our partnership with the National University of Singapore and Nanyang Technological University. These examples represent just a few of our international connections. Today, MIT and its faculty work with a wide range of collaborators around the world – in many different fields, and at many different scales of engagement. In this global age, universities also have a responsibility to broaden access to learning worldwide. MIT’s answer – MIT OpenCourseWare – was suggested by our faculty themselves as they considered how the Institute should position itself in the emerging distance learning environment. OpenCourseWare offers free access to the materials for more than 1200 MIT courses, with a goal of 1800 courses by the year 2007. It is our most ambitious and far-reaching demonstration of our goal of advancing education globally, and even we have been astounded by the response from users around the world. There are more than 37,000 visitors to OCW content each day, 50 percent from outside the U.S. While OCW was initially envisioned as an adjunct to college and university courses, more than one-half of its users are independent self-learners. And every semester, our own faculty and students find new ways to use OCW to enhance education at MIT itself. From the start, we have hoped that other institutions would join with us in this effort, translating MIT’s content and adding their own. Last May, six leading Japanese universities announced the formation of a new Japan OCW Alliance, making the content of more than 100 Japanese courses available free of charge. And over the next five years, China Open Resources for Education, organized by a number of leading Chinese universities, will translate nearly 500 of MIT OCW’s courses into Chinese; more than 100 are already available. In fact, more than 50 institutions around the world are now openly sharing educational material under the “opencourseware” model. Not surprisingly, in light of what I have suggested earlier, MIT’s successful international programs have grown out of faculty enthusiasm and initiatives. I look forward to seeing the success of international programs developed along different lines by other institutions in the US and abroad, in the hope that we will be able to learn from each other. Before I close, I would like to comment on how we can best educate leaders for the global age. The fundamental strength of American research universities rests on the integration of education and research. At MIT, our faculty, including Nobel Prize winners, teach in the classroom, and most undergraduates engage in research. But education goes well beyond the specific subject matter that students learn, because we know that when our students leave the university, they will have to manage teams in the workplace, and lead organizations through change. They will have to innovate and to be entrepreneurs. And they will have to do these things in an environment that is constantly evolving and in a context of growing diversity. Obviously, many of the skills our graduates will need, they learn in the classroom or lab. But just as important are the lessons they learn in activities that complement the formal curriculum. I won’t try to enumerate the full range of such activities. But I will highlight some of those that have made a difference at MIT. First, internships. Our students find that experiences in the workplace add enormously to their understanding of the fields they seek to enter. Ideally, such internships are accompanied by educational programming. I’ll mention two especially successful examples at MIT. One is the MIT International Science and Technology Initiatives – “MISTI,” for short. MISTI places MIT students in intensive professional internships in companies, research laboratories, and universities around the world. Before their departure, interns study the language and culture of the host country. They emerge from their stays abroad with the capacity to build enduring professional relationships across national and cultural boundaries. A second example is the Undergraduate Professional Opportunities Program (“UPOP”), designed for second-year students in engineering. UPOP students receive coaching from engineering and management faculty, and industry professionals, during an intense week-long session in January and follow-up sessions throughout the spring. They then undertake 10-12 week summer internships in organizations in a wide range of industries and non-profit sectors. Of course, intellectual exploration and independence are vital to leadership. UPOP was actually modeled on one of MIT’s great success stories – our Undergraduate Research Opportunities Program (“UROP”), which supports research partnerships between MIT undergraduates and faculty. Through UROP, students work directly with faculty in cutting-edge research, in partnerships that range from one-on-one student-faculty collaborations to interdisciplinary teams with faculty and other researchers. Students gain valuable hands-on experience, and enjoy direct mentoring relationships with faculty and graduate students. 85% of our undergraduates participate in UROP while at MIT. Finally, MIT seeks to develop a culture of entrepreneurship among our students through a wide array of popular activities. One outstanding example is our $50K business plan competition, which started at MIT in 1990 and has been emulated at institutions across the United States and, increasingly, around the world. Perhaps the most important aspect of that annual event is that it is run by students, for students. Because the best way to educate students in leadership is to give them opportunities to lead. I have spoken largely from an American perspective – and more particularly from my own vantage point at MIT. I certainly do not expect that educational institutions outside the United States will achieve excellence simply by copying the institutional forms that have evolved in our country over the course of more than three centuries. Throughout their history, American research universities have drawn on models and ideas from other nations and from one another. Each nation, and each institution, needs to develop an approach that responds to its own history and needs. Along similar lines, it may not be practical to translate directly into other settings the activities that American universities have developed to help our students become innovators, entrepreneurs, and leaders. But I think the programs I have described demonstrate the contributions universities can make to educating the leaders our world needs now. But I do believe that the values that have shaped America’s greatest universities – institutional independence; competition; innovation; cross-disciplinary work; and robust connections to the rest of the world – will strengthen any university aspiring to excellence in this global age. And I look forward to a new era of collaboration, across disciplines, across institutions, and across countries that will surely be the hallmark of the decades ahead.